Erin and Richie celebrated their wedding at the Berg event site. 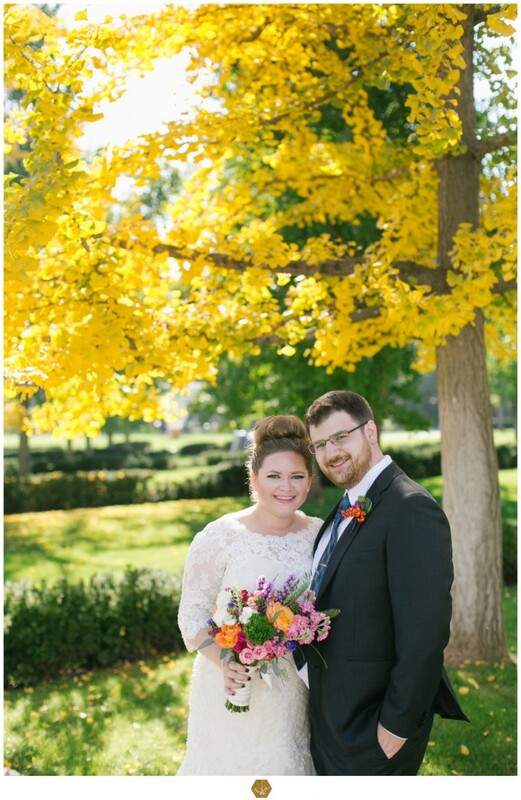 As is so popular today they took pre-ceremony photos off site and they choose the grounds of the Nelson Art Gallery. We met them there with bouquets. I noticed that Erin picked up on one of the best trends- her bridesmaids choose whatever style white cocktail dress they preferred. The wedding party went back to The Berg for their ceremony under a Chuppah that we created with 4 birch poles and floral medallions. For the reception we took off their tallis and moved the 4 individual columns to flank the huge windows which made a backdrop for the dance floor. You could see them throughout the reception.